Virtually every other day, I burn CDs for people who have rented out an underwater camera from us and who hope to have good images to share with their friends and family. However, often the results don’t match expectations. P&S cameras are very well suited to delivering crisp, well-exposed snapshots in the hands of even the most inexperienced photographer, which is what most users want from them anyway. However, take them underwater and suddenly, all those exciting colors and fish end up as brownish-grey blobs of indeterminate focus. A frequent comment I hear from people is “this small camera simply cannot deliver the same results as that big rig of yours” – till I show them some shots that I have on file, taken with compact cameras. There really is no magic here. Compact cameras are indeed less flexible than more complex, multi-strobe setups with specialized lenses and ports. However, used within their limits, they are perfectly capable of providing shots that are good enough to share with your friends. 1. Get close: If anything, this has to be the rule #1 of underwater photography. Get close. How close? Within 1-2 feet for high-quality images (in tropical waters; less if you dive in green soup), but at most no more than 3-4 feet. Any more than that, and don’t bother shooting unless your subject is very large. A good test is that the subject should occupy atleast 25-30% of your LCD screen. Why is that? Even the clearest of water has particles which will affect sharpnesss and contrast. Also, the more the distance between you and your subject, the longer the path travelled by the light from your camera’s flash, which means more loss of reds. Moral: minimze the water column. 2. Avoid the zoom: Zooming is no substitute for getting close. Keep your camera at its widest setting, then get as close as possible, and then, if need be, zoom to adjust your composition (never as a substitute for physically getting closer). 3. Manual white balance: Learn how to set manual white balance on your camera. Then take a white slate with you underwater and use it to set white balance for that depth. If your depth or lighting changes, adjust the white balance again. This is especially useful for ambient-light shooting. If you are using strobes as your prime source of lighting, then setting AWB to daylight should suffice, as most strobes are daylight-balanced, more or less. 4. Use a strobe: I know, I know… you bought a small compact, and now I am telling you to spend hundreds on a strobe. Well, the sad fact is that really good strobes – the kind you will never outgrow – start at around $500. Inon and Sea&Sea are excellent buys. However, even a small strobe will yield very good results. Epoque makes a decent unit for around $200, as does Sunpak (the G Flash). Sea&Sea, Sealife and Fantasea also have small, inexpensive strobes. These will be the best investment you can make to improve your photos. It is hard to escape the laws of physics, even underwater – strobes are the only way to add back the red that has been absorbed underwater. On-board strobes work ok within limits (clear water and low working distances), but for most flexibility, you’ll want an external strobe. 5. Shoot up: Most people swim slightly angled. The DIR crew swim perfectly horizontally (thereby missing everything in front and above them, which also explains why they dive only caves – not a whole lot more to see on reefs this way). Either way, the cone of view for most people is weighted downwards. Therefore, most people also tend to tend to shoot downwards. This has one problem – your subject and the background both get even illumination. So the subject doesnt stand out. The solution is simple – get low, and shoot upwards or against blue water – and you’ll get a crisply defined subject (you did remember to get close, didn’t you?) against a pleasing blue (or green) background. Now we are talking! Keep in mind that getting low means that there is a good chance that your fins are going to bang into the reef, so please watch your buoyancy and your fins. 6. Spend time on a shot: If you find something interesting, spend time on it. Now, at this stage, you are probably not ready to spend the entire dive on one subject, but you can – hopefully – allocate atleast a few minutes without making your buddy homicidal. This will allow you to explore various shooting angles and compositions. I personally don’t have the divine gift of artistic genius and so have to work for my shots – my first shot is rarely my best. If you are anything like me, the more time you spend, the better results you will get. 7. Start with quick wins: Quick wins are subjects that don’t move much – anemones, clownfish (ok, they move, but within a small area), colorful coral, nudibranches, etc. These will let you apply all the techniques we have covered so far. 8. Stalk fish: Swim towards a fish, and it takes off. Bet it has happened to you. So how does one get close to the subject? I use the same approach to getting close to fish as I do with birds and wildlife.. I move slowly, I exhale slowly and I try to close in at an angle (instead of directly towards the fish). I also bring my camera gear into position before hand and avoid ALL sudden movements. This improves your chances of getting close and taking shots where the fish are still facing you. 9. Improve your buoyancy: Sometimes, the best camera angles require you to put your body in all sorts of awkward positions. In order to achieve this, your buoyancy must be top-notch. It takes time to get here, so keep practising… before long, you’ll be hanging upside down, peeking into an overhang and shooting away to glory. Do remember that your learning curve should not come at the expense of coral – if you are going to practise, do so somewhere where you are not going to break or damage the reef. No photograph is worth damaging the reef. 10. Practise: Sounds like a cliche, but it isn’t. First of all, let me tell you what not to do. Don’t just go on a shooting spree, hoping to find some gems in the shots later. You can spend a 100 dives this way without getting better. 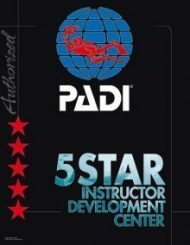 What you need to do is spend some time before each dive setting targets for yourself (perhaps take one of the points from this article and work on it), then go shoot according to that plan. Then review your results, figure out your mistakes and then next time, work on avoiding those mistakes. Before long, you will see your photographs improve drastically. Don’t be afraid to experiment or shoot a lot – however, engage your brain before thinking. Don’t just blindly fire away. 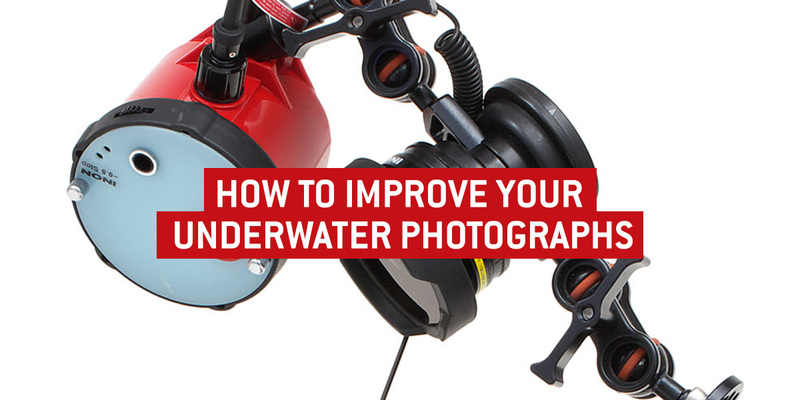 And now, because we are great value and big fans of Spinal Tap, we’ll give you 11 tips on a list of 10 Tips to Improve Your Underwater Photos. 11. Post-process: Some people take great pride in presenting their photos exactly as they emerge from the camera. Personally, I don’t see how showing a sub-standard result is anything to brag about. If you are taking photos, then spend some time sprucing up your shots so that they look best. It doesn’t have to take long – a couple of minutes adjusting contrast, color balance and saturation goes a long way. And don’t forget the most important post-processing tool: the trashcan. Not every shot is worth showing.